Six Degrees Salsa Tuesdays Officially Welcomes DJ Nilson and His Salsadura! You asked for it. Here you go...DJ Nilson Diaz and His Salsadura at Six Degrees Tuesdays, Nov. 26, 2013. Be There! With such a wide variety of customers and musical tastes at Six Degrees every Tuesday, it is a constant challenge to ensure that we are keeping everyone dancing. We want You all to know that we listen to your comments whether it be a passing comment to our DJ or a registered complaint to a manager. Having said this, we would like everyone to know that we have not lost sight on our mission which is to throw the best dance party with great danceable music and friendly like minded dancers in a fun and safe environment. Effective Tuesday, November 26, 2013, DJ Nilson and His Salsadura will spin as a Guest DJ on rotation along side with our resident Top DJ Jimmy Suave. 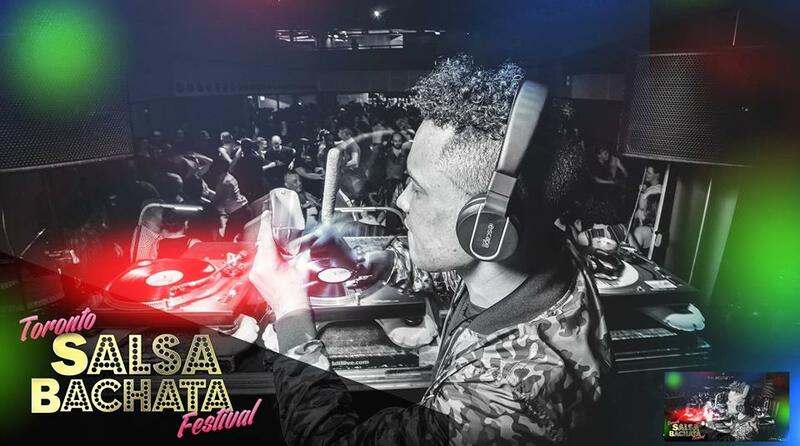 Born in the Dominican Republic, DJ Nilson Diaz Gomez arrived in Canada 1998 and brought with him just a few salsa records, cds, and a deep love and passion for the flavour of the music and dance. Being a professional dancer in Puerto Plata, he also had a strong feel for the unique and 'danceable’ rhythms the music had to offer. It was that same love and passion for salsa that spawned his professional DJ career in Toronto, 2001. Today, DJ Nilson's rare and beautiful salsa music collection consists of over 4000 Vintage Lps and Cds! His favourite styles are New York and Puerto Rican, both new and old school, Salsa, Guaguanco, Boogaloo, Guajita Latin Jazz, Bachata and Cha Cha Cha Boogaloo, And Latin Sou.l Dj Nilson Also is a world known DJ and Music Suppliers He has played for the past 13 years in the most prestigious Stages just to mention few Bermuda, Cyprus, NYC, Montreal, Ottawa, Cleveland Ohio, Rochester NY, Brussels, recently in 2013 Istanbul Turkey for First Time Ever. San Francisco Bay & New Jersey of course!! His hometown Toronto.... You have never met anyone more passionate about his music! We hope to see Toronto's entire salsa community every Tuesday as we get back to basics and show you a fantastic night of dance floor classics and great hospitality. http://facebook.com/mysixdegreessalsa — with King José and 3 others. Your monthly AGITANDO - Toronto's Salsa Dura Super Social brings to you authentic hard Salsa strictly from vinyls! Join us as we share with you our passion with Salsa, Montuno, Guaguanco, Cha Cha, Boogaloo, Guajira and more! Post by Six Degrees Salsa. Wow, the first monthly social for Agitando was a blast last night. Toronto totally represented. So happy to see people were having so much fun enjoying both the Salsa room and the Kizomba/Bachata room. To find out about future events follow our page Agitando Salsa Dura Super Social, including the December edition which is also my birthday party. On behalf of Gary Geronimo, Maya Belle, Michele and myself and our resident DJs Danilo Sierra, DJ Cafe aka Java Panzo and DJ Gury, thank you and we'll see you at the next Agitando event.